For Brazil, 2016 looks set to be an epochal period in its history. Hosting the Olympics is no small matter, but in a year when its president was removed from office after impeachment, and the Zika virus has devastated its population, the Summer Games will likely receive lower billing in any year-end review. Then there’s the beleaguered economy, which played no small part in Dilma Rousseff's ousting in May, but is now showing some signs of life after two years in the doldrums. Christine Tan manages the emerging markets and Latin American funds for Excel Funds. As such, she has kept a close eye on the political and economic upheaval in South American’s largest nation. The scandal in question concerns the state-owned oil company; specifically, the systematic embezzlement by executives at the firm who were also high-ranking members of the governing Workers Party. The subsequent fallout has shook the Brazilian political order to its core, creating a mistrust among the public that meant the president herself would ultimately be forced out after being accused of misleading the public over the national deficit. With her trial set to conclude during the Olympics, vice-president Michel Temer has stepped into the void, which is a positive development in the view of Excel Funds. 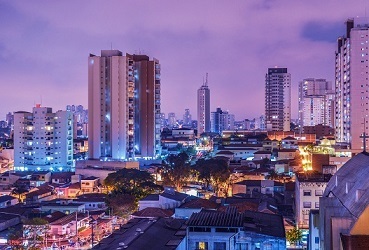 Despite those obstacles, Tan believes conditions are ripe for recovery in Brazil, which is why Excel Funds has reversed its underweight position from 2015. Now that the real has rallied significantly, and with political reform apparently on the way, Tan advises investors to take another look at Brazil, albeit with the long view in mind.